Spot the 3 different prints I’m wearing! 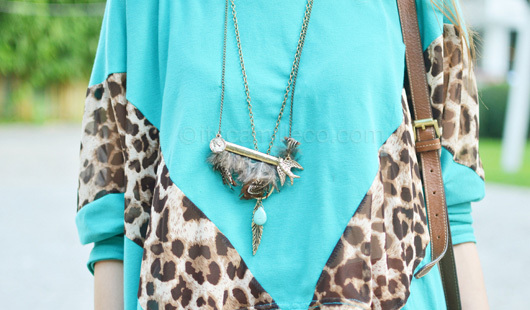 Leopard + tribal + geometric shapes. Who said it’s not possible? This 2012, let’s keep challenging fashion rules! and so with this.. it’s not solely what you wear. It’s how you wear it, Camille. Awww thank you! How flattering!